@genericlogin: The error message makes me laugh hella hard! What kind of performance problems? 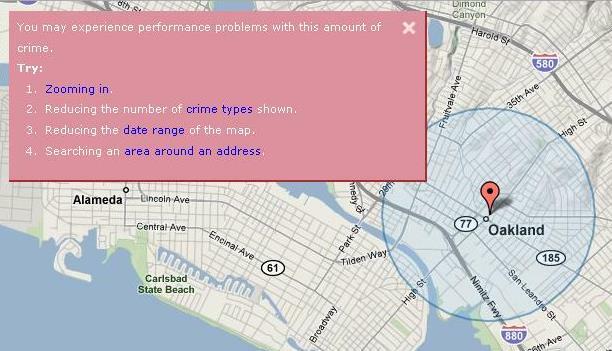 On the web site or while in an area with "this amount of crime"? 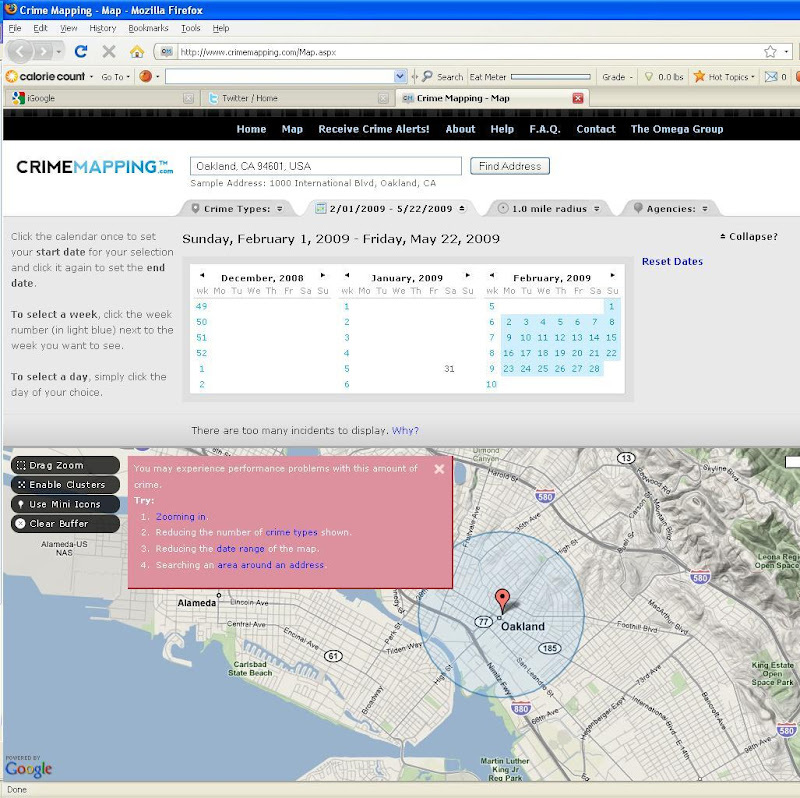 Is there some better way CrimeMapping.com could handle and report a high volume of data for a 15-block radius?